Autism is a deeply contested diagnosis. Once thought to be a rare disorder of childhood, it is now more commonly recognised as a lifelong condition affecting more than 1% of the UK population. Research into the defining features and causes of autism most often takes place within the biomedical sciences. Such research attempts to describe how autism functions in the brain and what the neurological or genetic foundations of autism might be. Many researchers hope that by achieving a full description of how autism works it will be possible to invent new treatments for its symptoms. Not all of those affected by autism agree with this approach to autism. Members of the autism rights movement have argued that the biomedical approach to autism can be unnecessarily restrictive. It can contribute to the idea that there is only one way to understand autism, and one basis for constructing appropriate interventions. Equally important questions about the lives and experiences of those diagnosed with autism are marginalised. Services come to be evaluated on their capacity to eliminate behaviours and practices labelled as autistic. Autism is increasingly seen as a problem to be solved, rather than a different and equally valuable way of being in the world. Researchers within the social sciences and humanities have also presented powerful critiques of the biomedical approach to autism. They have demonstrated that what we think about autism depends on the context in which we’re operating. Autism science is not a straightforward enterprise which can be divorced from questions of identity and subjectivity, nor from the material supports of scientific work (access to funding, research participants, genetic data, and so on). What it means to be autistic cannot be restricted to its biomedical description nor to its psychiatric definition. The Critical Autism Forum (CAF) was established to help facilitate communication between the different spheres of critical autism research and practice. As a researcher and support worker, I became increasingly aware of the need to connect autism service provision with ideas from critical autism research and activism. Equally, researchers and activists may benefit from the ability to share information with each other and with service providers. It seemed that CAF might play a part in encouraging dialogue between these groups by opening up spaces for critique and public engagement. 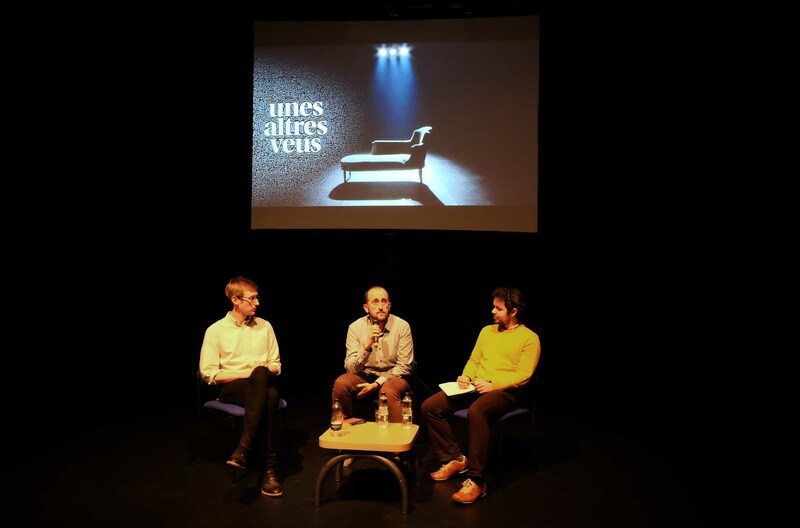 On 29 November, CAF was launched with a special screening of the documentary ‘Other Voices: A Different Outlook on Autism‘. The film provides an accessible and moving introduction to the approach to autism within Lacanian psychoanalysis, which is not often encountered in the UK autism debate. (This is also the subject of my own doctoral research.) We were fortunate enough to be joined by the film’s director Iván Ruiz Acero, who had travelled from Barcelona to attend the event. Iván is a psychoanalyst and member of both the ELP and the WAP, as well as a founding member of the Association TEAdir for parents of autistic children. Iván’s involvement was a great addition to the evening. Audience members were able to ask questions and engage in discussion about the questions raised by the film. Iván provided us with some details about his motivation for making the film, its cultural and political context, and the choices that he made as a filmmaker. We ran out of time with plenty of questions still to be asked; a positive sign that the film had made an impact! On the following day, a smaller group met to discuss how CAF might go forward from here. The group was diverse and participants had a range of backgrounds and motivations for their involvement. Our discussion touched upon many of the key themes of critical autism research, and addressed the central question about how this might best be linked to practice. It was decided that another public event (perhaps a film screening) would be welcome, and that a medium-term goal might be to organise a larger conference-style event to showcase critical autism research (modelled on the Centre for Critical Theory‘s highly successful Subject of Addiction conference). The weekend would not have been possible without the support of a number of institutions and individuals. Nottingham Lakeside Arts provided us with an excellent venue and staff were immensely helpful. The School of Cultures, Languages and Area Studies provided generous financial support. Staff and students within the Department of Culture, Film and Media and Centre for Critical Theory offered vital assistance throughout the organising and publicity process. Many thanks to all those who came along, helped out, and made the weekend a success. If you’d like to be involved in CAF or kept up to date with its work, please send an email to criticalautism [at] gmail [dot] com. We’ll have a website up and running soon, and updates will be posted on this blog. We’ll also be hosting an initial interest workshop in Leicester in early February; again, check this blog for news.